Kathleen Sandt is a Public Affairs Specialist for the National Park Service, where she handles public communication and media outreach for the Delaware Water Gap National Recreation Area. Kathleen helped spread the news that Delaware Water Gap National Recreation Area was growing by 1,054 acres thanks to the acquisition of a property known as Camp Hidden Falls—a place she was already familiar with and fond of. Find out more about her personal and professional connection to this land of waterfalls, forests, and memories. Part three of our climate series illustrates how we engage our business partners to achieve their sustainability goals. 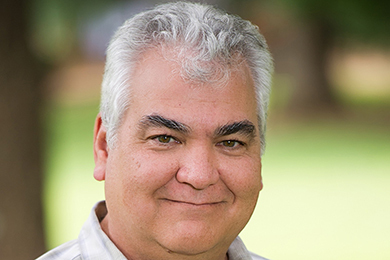 Paul Trianosky is Chief Conservation Officer at the Sustainable Forestry Initiative Inc. (SFI). With 35 years of experience in forestry, non-profit management, forest certification, collaborative partnerships, and landscape-scale conservation, Paul works in partnership with conservation organizations to advance conservation outcomes from sustainably managed forests. 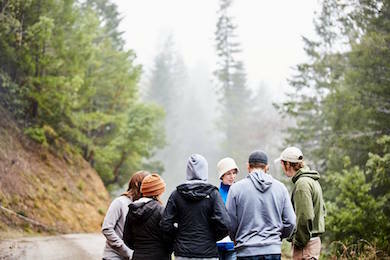 Find out how SFI is demonstrating good forest stewardship by offsetting carbon emissions and protecting and restoring forests. In part two of our climate series, we explore how The Conservation Fund and its donors are delivering benefits for climate, community, and biodiversity by planting trees. 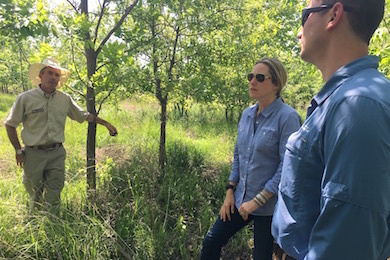 Kevin Harnish, Forestry Analyst for The Conservation Fund’s Working Forest Fund®, recently visited Kansas to check on the status of trees in the forest restoration project at Marais des Cygnes National Wildlife Refuge. Find out why the work of forest restoration doesn’t end the day the seedlings are planted, and how the Fund is working to ensure success of the climate projects you support. As 2018 comes to a close, we are pleased to present a three-part series that highlights our work to protect and restore forests and the role they play in addressing climate change. 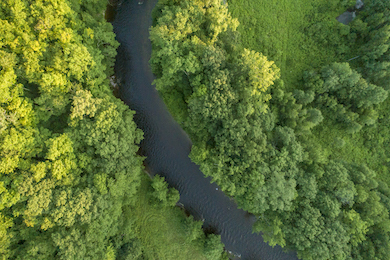 In this first installment, Alterra Hetzel draws from her expertise in climate and carbon to illustrate the role that forests play in advancing both environmental and economic goals. Alterra is manager of the Fund’s business partnerships, where she works with businesses to achieve results that are good for land, water, wildlife, people and the bottom line. The Value Chain Initiative, focused in Coos County, New Hampshire, and the Eastern Townships of Quebec, is a tool The Conservation Fund developed with our local partners to build wealth in communities by strengthening existing assets (eg, trails, small businesses, marketing initiatives, technical assistance programs and collaboratives) and designing strategies to address gaps (eg, accessible online trail map data). When all of these pieces work together it leads to a thriving environment and local economy. 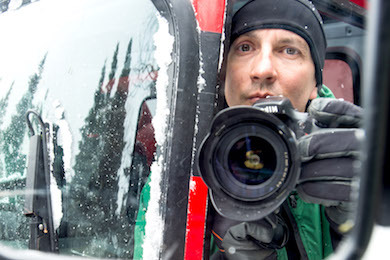 Resident and professional photographer, Joe Klementovich, helped us capture the heart of this work—on the trails, in the breweries and gear shops, and along the rivers—that make this region a spectacular area to live, work and play. Six years ago, a few charities in New York joined together to launch a day of giving back. It would take place the Tuesday after Thanksgiving and was named “Giving Tuesday.” They asked if The Conservation Fund would like to be included and we agreed—what better way to kick off the holiday gift-giving season! 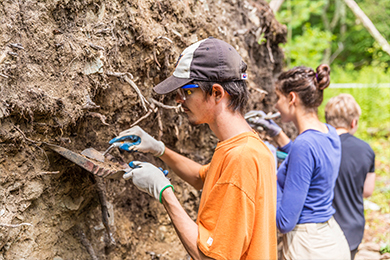 Find out how your gift to The Conservation Fund can be doubled starting on Giving Tuesday 2018 and go twice as far to bring nature to cities, protect rural landscapes, and preserve working lands to benefit local economies. 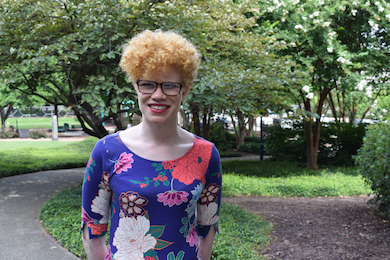 Emily Korest was The Conservation Fund’s 2018 Charles Jordan intern. 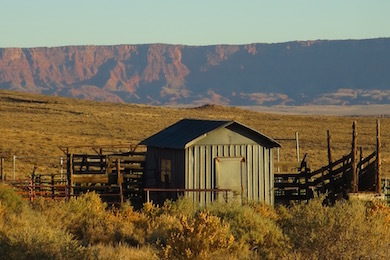 She revisited some of the Fund’s most interesting projects—all of which have helped shape the organization—to capture their stories and find out “where are they now?” In this second post of her series, Emily shares the story of the Fund’s foray into sustainable ranching. Under the stewardship of the Grand Canyon Trust, the North Rim Ranches are now managed as an important ecological link tying together three national monuments, two national recreation areas, eight wilderness areas, and one of our nation’s crown jewels—Grand Canyon National Park. Exploring nature and finding refuge in urban parks is a fundamental part of Stacia Turner’s personal environmentalism. Visiting urban greenspaces nationally and abroad taught her that connecting with the environment happens readily in cities with natural areas. Stacia works in The Conservation Fund’s Parks with Purpose program as an Urban Conservation Associate, and she recently helped lead a peer exchange event that brought participants from six cities to Atlanta, Georgia to share information, tools, and tactics for building stronger communities through parks. Christine Quinlan is The Conservation Fund’s Western Field Representative for Conservation Acquisition, where she has worked for two decades to facilitate conservation projects across Colorado. Throughout that time, Christine has worked closely with Sydney Macy, who was recently honored by the Palmer Land Trust with the Stuart P. Dodge Award for Lifetime Achievement in Conservation. Christine tells us how Sydney Macy’s lifetime of accomplishments have left an indelible mark on the state of Colorado. Katie Valentine was the former Media Relations Associate for The Conservation Fund. 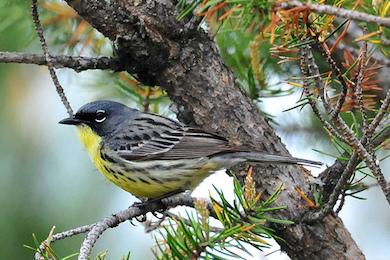 As an avid birder, she was captivated by the comeback story of the Kirtland’s Warbler—a small songbird currently on the endangered species list. She shares how habitat conservation has contributed to this species rebounding from record low numbers, and how the Fund’s work in Michigan and Wisconsin forests will continue to help this species thrive. In this third and final installment of the Saginaw Bay Watershed Initiative Network (WIN) 20th anniversary series, Greg Yankee, Executive Director of The Little Forks Conservancy, shares his story of how WIN helped make the 74-acre Averill Preserve a place where people connect with the natural world. Greg describes WIN’s comprehensive, holistic process that puts nature, community development, and economic prosperity at the forefront of decision making. To celebrate the 20th anniversary of the Saginaw Bay Watershed Initiative Network (WIN), we asked three leaders to reflect on the strategic thinking, community engagement and robust partnerships that have contributed to this successful endeavor. In this second installment we hear from Larry Selzer, President and CEO of The Conservation Fund, who shares how WIN has become a template for other corporations who want to support community programs that focus on sustainability while simultaneously achieving business success. Large-scale regional conservation of land, water and wildlife takes time, long-term strategic thinking, community engagement and robust partnerships. The Saginaw Bay Watershed Initiative Network (WIN) reflects all of these attributes and more. 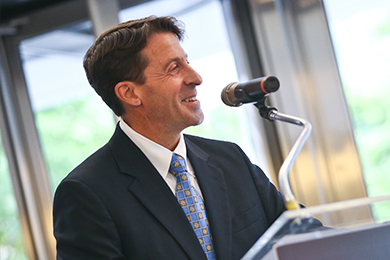 As WIN celebrates 20 years of accomplishment, we present three perspectives from leaders whose vision has improved the lives of the region’s residents and the health of their environment. 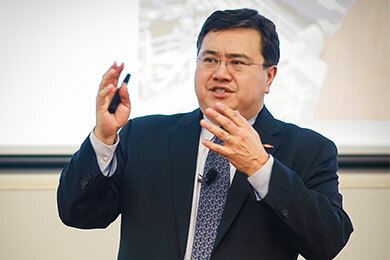 First we’ll hear about the origin and impact of WIN from Neil Hawkins, Corporate Vice President of Sustainability for The Dow Chemical Company. Brad Meiklejohn is a Senior Representative at The Conservation Fund, where he has worked to protect the Alaskan wilderness for the past quarter century. 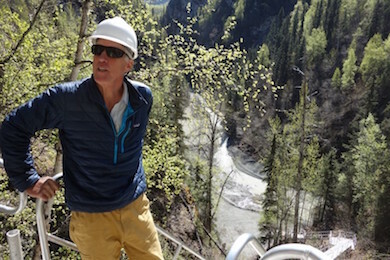 Brad managed the five-year dam removal project on the Eklutna River in Southcentral Alaska from conception to its final deconstruction this summer. Thanks to his efforts and those of many other partners, we may soon see Brad packrafting down the Eklutna River alongside swimming salmon after water flow is restored. This summer, I had the privilege of being The Conservation Fund’s 2018 Charles Jordan intern. My job was to look back at some of our most interesting past projects—all of which have helped shape the organization—to capture their stories and find out “where are they now?” This blog is the first of this series to highlight some of these projects. 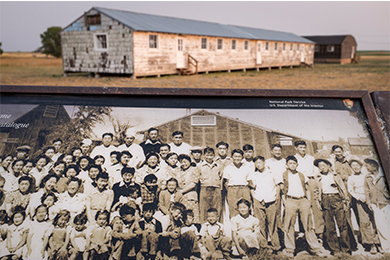 It tells the story of The Conservation Fund’s work to protect and add significant lands to the Minidoka National Historic Site in southern Idaho, one of the World War II prison camps for Japanese Americans. Sally Manikian is our Vermont and New Hampshire Representative. When she’s not working in service to the mountains, forests and communities of the Northern Forest, Sally can be found on trails with her racing sled dog team, Shady Pines Sled Dogs. 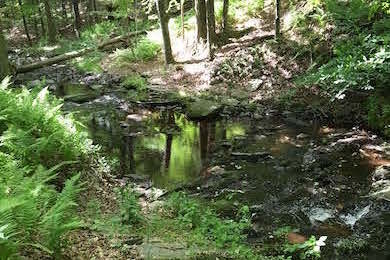 Sally shares the unique cultural and historical significance of Cowee Forest, and how the Fund is working to permanently protect this archaeological resource while continuing to support a working forest. 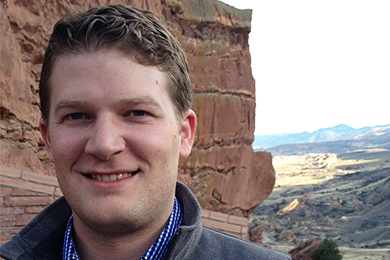 Financing the purchase and permanent conservation of America’s working forests is no easy feat, but Trevor Cutsinger, our Working Forest Fund business manager, knows this process inside and out. He’s helped permanently protect hundreds of thousands of acres of critical forestland and aims high to keep on finding creative ways to protect more. When he’s not working, he’s most commonly found with his kids somewhere outdoors, playing any game with a ball or hunting for salamanders. Emily Korest was The Conservation Fund's 2018 Charles Jordan Memorial summer intern. She was intrigued to learn more about her internship's namesake, and through research and interviews gathered wrote the following piece about Mr. Jordan—a board member of The Conservation Fund for 20 years and its chairman from 2003-2008. 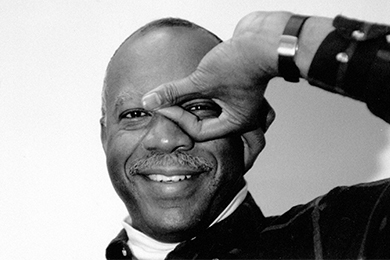 "The more I found out about Mr. Jordan the more I wanted to know, and I was inspired to write and share this memorial post for him, as we mark what would have been his 81st birthday on September 1, 2018."